Posted on 22, March 2019 by EuropaWire PR Editors | This entry was posted in Environment, France, Infrastructure & Utilities, News and tagged CHINA, effluents, FrancoChinese cooperation, Greater Bay area, Guangdong Province, Hong Kong, industrial wastewater treatment plant, Jean-Louis Chaussade, Macao, Pulsagreen, SUEZ NWS, waste recovery, water management, Waterleau, Zhuhai, Zhuhai Gaolan Port Economic Zone, Zhuhai Huigang. Bookmark the permalink. PARIS, 22-Mar-2019 — /EuropaWire/ — SUEZ NWS has announced it just signed three contracts for water management and waste recovery projects in the Greater Bay area in China. The value of the contracts is estimated to be in the 250 million euros range and is yet another example of successful cooperation between China and France. According to SUEZ CEO Jean-Louis Chaussade SUEZ is committed to be helping Chinese cities and industries in their transition to a circular economy and sustainable growth. The Greater Bay area in China has the goal to become the world’s 4th largest bay area in 2035, after New York, San Francisco and Tokyo. As territory, it includes nine cities in Guangdong province and the administrative regions of Macao and Hong Kong. 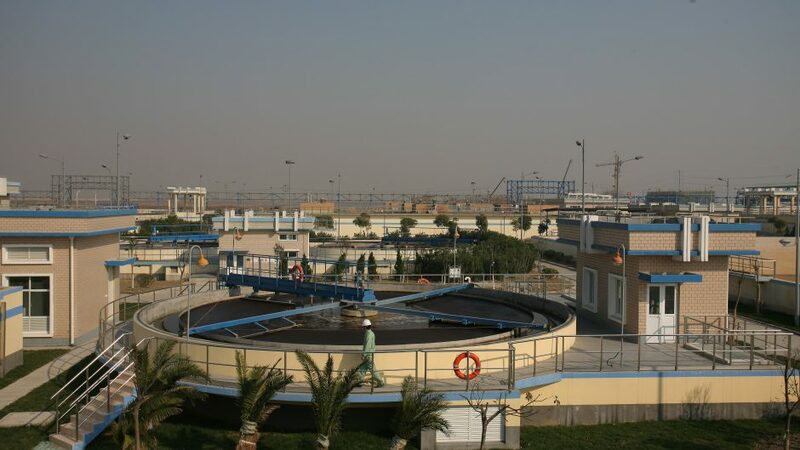 According to the contracts signed, SUEZ NWS will build and operate the industrial wastewater treatment plant for a petrochemical park in Zhuhai, Guangdong province. In Macao, SUEZ will be upgrading and operating a wastewater treatment plant, as well as will be responsible for the operation and maintenance of a glass crushing facility for its recycling. Furthermore, a new joint venture has been formed with Zhuhai Huigang for the building and operation of effluent treatment plant (25,000 m3/day) of the petrochemical industry park in the Zhuhai Gaolan Port Economic Zone. This project, alone, accounts for €200 million and spans over a period of 30 years. Noteworthy, the Chinese industrial wastewater treatment industry will see SUEZ’s Pulsagreen(tm) solution deployed for the first time. The technology will be used for the optimal treatment of effluents that can be reused by the petrochemical park’s industries, thus preserving water resources in a rapidly developing region, such as the Greater Bay area. One more joint-venture has been established between SUEZ and Waterleau in Macao. The newly formed JV will upgrade, operate and maintain a wastewater treatment plant. The contract is for about 4.5 years and is valued at €46.5 million, including €23.3 million for SUEZ. Under the contract, an expansion of the plant to 204,000 m3/day (from 144,000 m3/day today) will be carried out and technologies to improve wastewater treatment quality will be deployed. Also, the SUEZ / Waterleau joint-venture will operate and maintain a glass crushing facility for a period of 2 years and an amount of €1 million wheres the recycled glass sand will be re-used as road embankment.